Paper • ISBN-13:9781608469727• US $24.95 • 6 in x 9 in • 540 pgs. 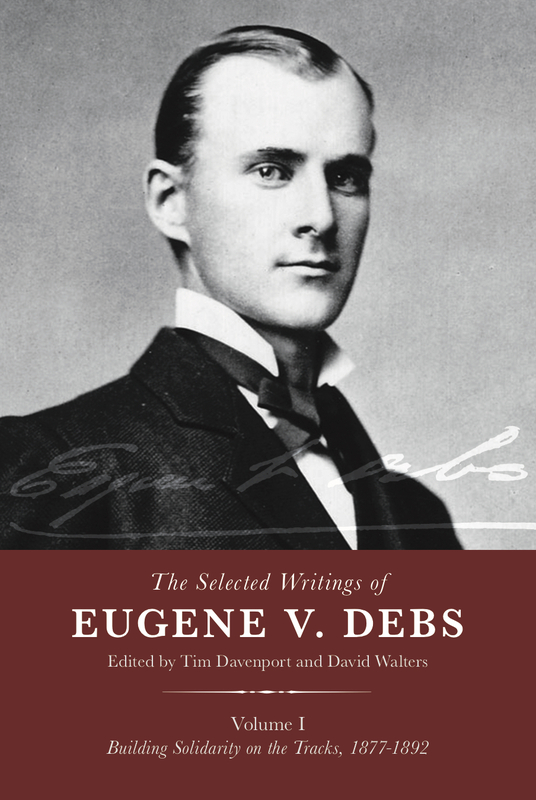 This is the first in a five-volume series that will collect much of trade unionist and Socialist Party founding father Eugene V. Debs’ work for the first time in a single place. The collection makes readily accessible approximately 150 documents, only a few of which were ever subsequently republished, by one of the seminal figures in the labor movement of his era. Illuminating 19th century labor history, particularly the complex and shifting situation in the transportation industry, this volume provides a basis for deeper understanding of Debs and his role later during the glory days of the Socialist Party of America. Tim Davenport is an independent scholar from Oregon. He is the founder of the Early American Marxism website and is a blackbelt Wikipedian, writing as “Carrite.” He volunteers with Marxists Internet Archive and other online information initiatives.